Product prices and availability are accurate as of 2019-04-13 21:03:40 EDT and are subject to change. Any price and availability information displayed on http://www.amazon.com/ at the time of purchase will apply to the purchase of this product. What makes them "Earth Friendly"? 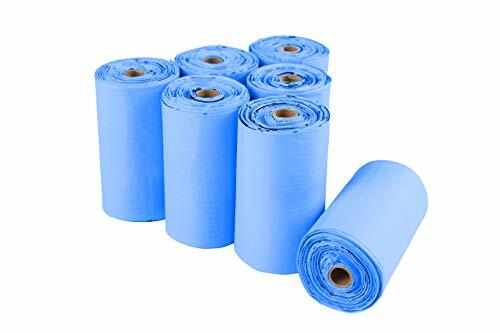 100% Eco-Friendly: Made from cornstarch bio-based material, contains No polyethylene plastic. 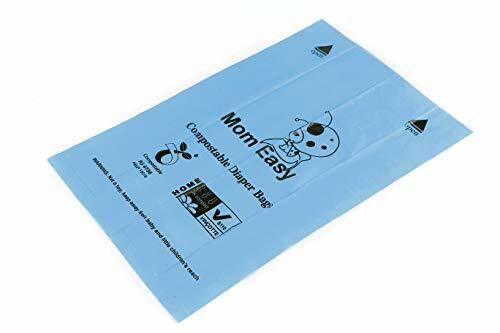 Hi there, MOM EASY®120 Counts blue diaper sacks with 1 free pouch are biodegradable and compostable, which conform to ASTM-D6400 and EN 13432 specifications. Standard Guide for Exposing and Testing Plastics that Degrade in the Environment by a Combination of Oxidation and Biodegradation . This would indicate that, yes, they are considered 'biodegradable'. How long does it take for them to break down? 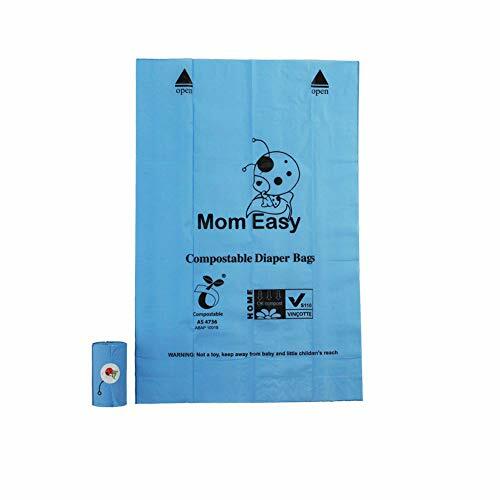 MOM EASY® 120 Counts are compostable and will completely degrade after 3-6 months in optimal conditions. What’s ASTM D6400 and EN 13432? 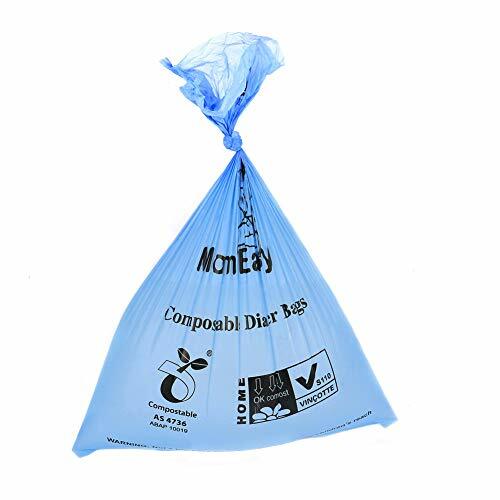 ASTM D6400 covers plastics and products made from plastics that are designed to be composted in municipal and industrial aerobic composting facilities. Packaging or products featuring the OK compost (EN 13432) label are guaranteed as biodegradable in an industrial composting plant. 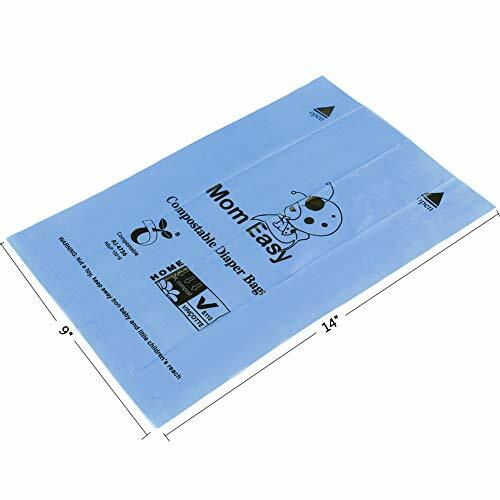 A combination of research and experience indicates that our bags will retain strength for at least 18 months if stored in a cool, dry place in the original packaging outside of sunlight. Where can the bags be degraded? They can compostable in municipal and industrial composting facilities. CHECK LOCALLY: Not all communities have composters and not all accept pet waste. DO NOT compost in home or garden compost piles or devices. 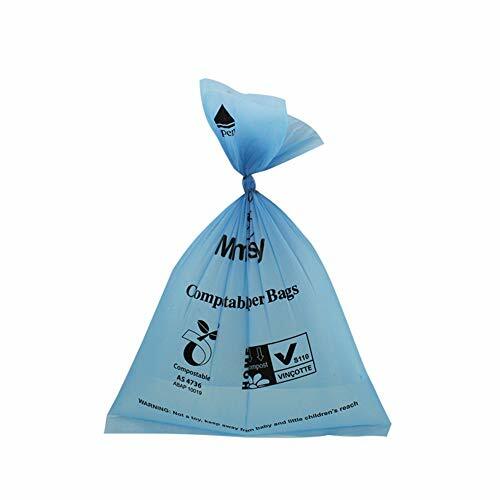 100% Compostable and Biodegradable: Highest Eco-Certified by US ASTM D6400 and Euro EN13432 standards 100% Eco-Friendly: Made from cornstarch bio-based material, contains no polyethylene plastic Premium Thickness & Leak Proof: 120 bags with a free pouch, 9"*14" flat bottom, standard large size "Open" arrow, easy to open, tear off and detach from the pouch Blue diaper pouch, it's perfect for on the go diaper changes. Also great for pet waste disposal.